Daniel Merenyi learnt his trade under Dario Pegoretti, the Italian maestro revered as a living god by the new generation of custom frame-builders. Merenyi, who had a background in graphic design, started his apprenticeship at Pegoretti’s mountain workshop in Caldonazzo, north-eastern Italy, in 2006. “I thought I would be able to learn the craft in a year or two,” says Merenyi. However, Pegoretti impressed upon Merenyi that unless he understood fully what he was doing, he would be limited to following tradition – something the Italian liberated himself from a long time ago, after spending his early years as a contractor building race frames for professionals. “Metallurgy, physics, some maths and chemistry give you the key to making new things,” says Merenyi. So, four years later Merenyi returned to his native Hungary to set up his own frame-building business. Now he has a range of three steel frames, the Adagio, Belcanto and Burletta, all of which are made to measure. A Burletta is a comic opera popular in 18th century England although it derives from the Italian word ‘burla’, meaning joke. Merenyi says the joke, or trick, with his creation, is that the bike looks traditional but underneath it is a 21st century race bike, with modern geometry and performance. 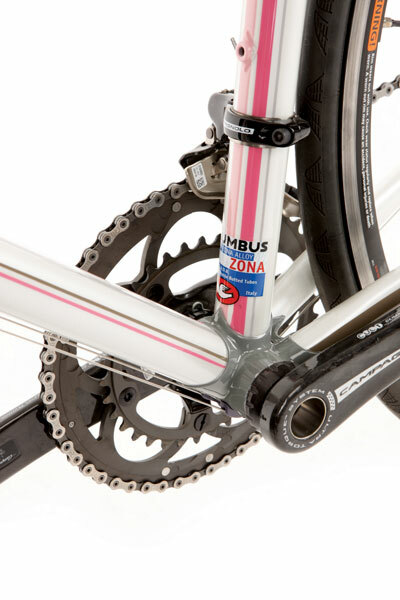 The frame is built from super-oversized Columbus Zona Niobium tubing, making it stiffer than others made with standard or oversized tubes with thinner wall thicknesses so as not to increase weight. Everything is joined together with Llewellyn Cadenzia lugs, designed by Darrell McCulloch and Dario Pegoretti. 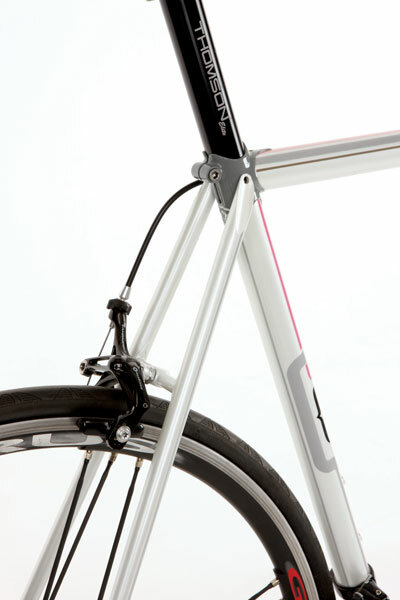 Customers can choose between a carbon Columbus Minimal fork (obviously painted to match) or a steel one. 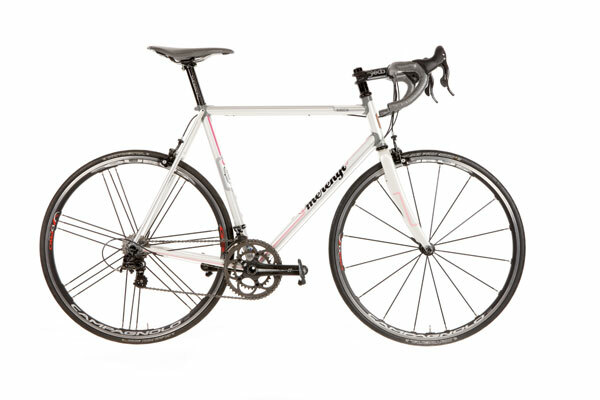 The frameset costs £2,695. London’s Mosquito Bikes, Merenyi’s UK dealer, will perform the bike fit and spec bikes to order.